Wednesday, February 13, 2019 - This guy has stirred social media after collecting his multi-million jackpot cheque in a scary mask. To further throw money-hungry friends and family members off guard, he waited 54 days to claim his prize. Winners are given 90 days to claim their winnings. 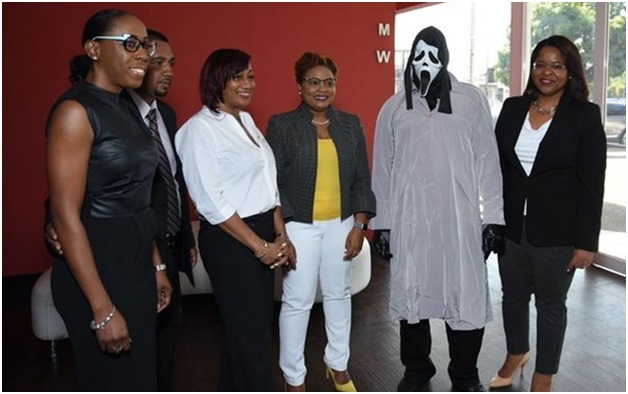 The man simply identified as A. Campbell from Jamaica was pictured receiving his dummy cheque while wearing the iconic mask from the Scream film. "I like to handle money. I don't beg, I don't borrow. 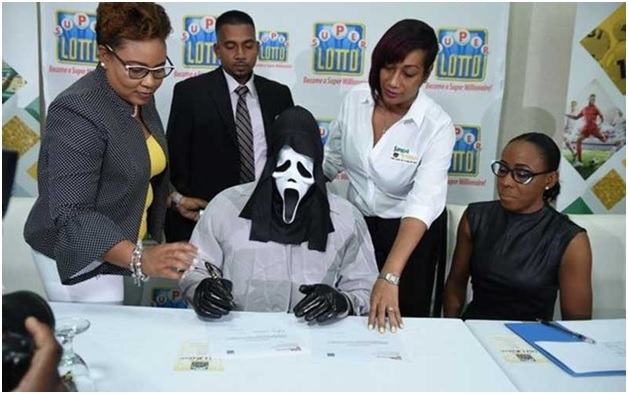 This is however common in the Caribbean where lottery winners disguise themselves due to the high levels of crime and fear they will be targeted for cash from everyone who knows them.